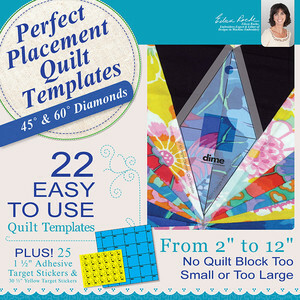 22 Easy to use quilt templates. From 2" to 12" Plus 25 1-1/2" adhesive target stickers & 30-1/2" yellow target stickers! 22 Easy to use quilt templates. Plus 25 1-1/2" adhesive target stickers & 30-1/2" yellow target stickers!